When it rains (as it does with gusto here in Summer) the lovely steep pitch of our roof transforms the gutters in our back yard into tumbling waterfalls so we are in the process of installing a tubby little JOJO. 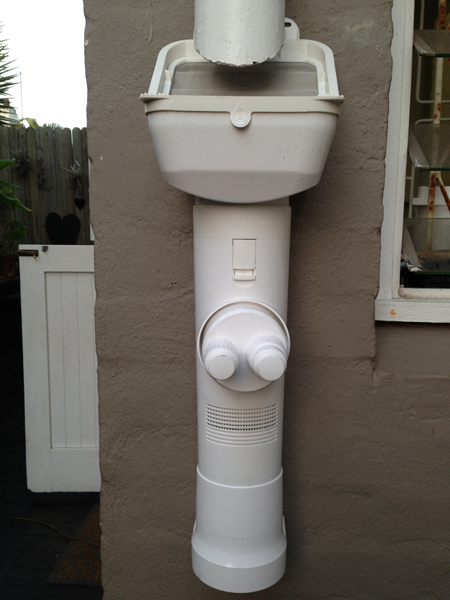 This is our clever CLEAN RAIN ADVANCED device from FREE RAIN CONSERVATION, it filters out the roof dirt, leaves and mosquitoes, so that your tank does not fill with muck. It does not make your free water drinkable though but means your system runs more efficiently. They are an online shop and our order was delivered to our door within a week. 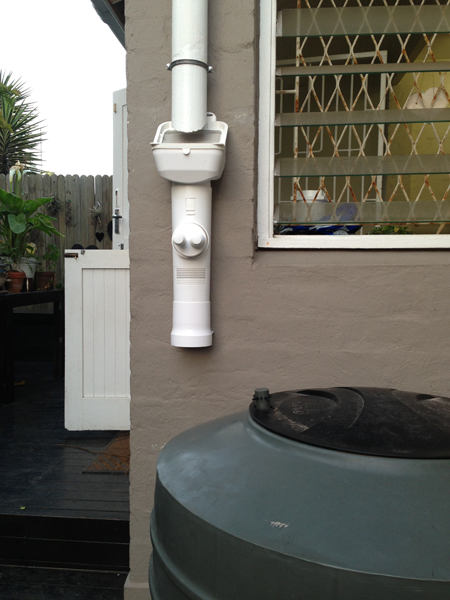 The installation is not finished yet, the downpipe needs to be attached underneath the device and the rough edges painted nicely. Then the connecting pipe is put in and the tap at the base - I am so excited!! !